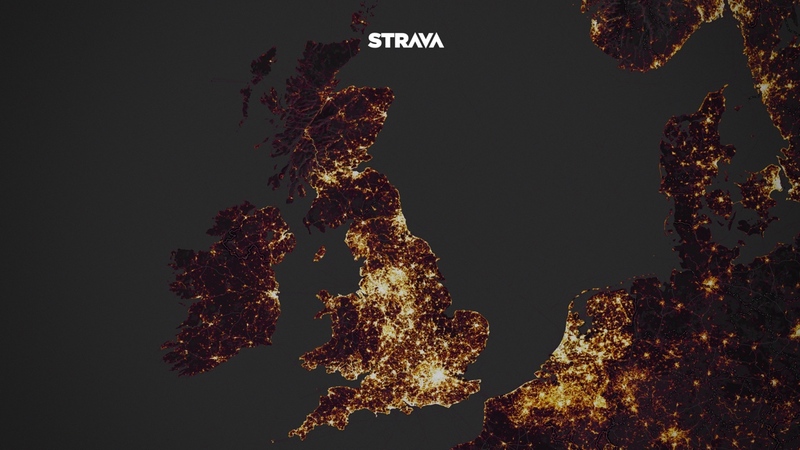 Strava has announced a new feature that allows users to tap into heat maps of their activity and cities around the world. Sounding a lot like a similar feature that Suunto offers on its Movescount platform, Strava Global Heatmap will allow users to gain an insight into 1 billion activities from over 10 million users. The total distance shown through the map, meanwhile, covers around 27 billion kilometres and 5% of all land on the planet. Strava already has its Metro platform, which allows users to plan routes by accessing a similar map highlighting popular areas, although Heat Maps now also feeds into this by featuring data from the likes of cyclists, runners and swimmers. That means you're able to see just where congestion lies on your commute to work, for example, and also routes that are less travelled. As the maps show, the most popular areas within the US are New York and Boston, while in the UK, Manchester and London rank out at the top. And as you might expect, parks and central landmarks within the latter are among the most lit areas. "A global community can seem very abstract until you see its activities visually represented in your immediate location and across the world," said Strava CEO James Quarles. "It's not just runners and cyclists, either — skiers, hikers, kiteboarders and even mountaineers on Everest are all counted in more than a billion uploads from the Strava community." All in all, the new heat map features activity from 31 different sports, with Strava Premium users able to access their own personal maps — something which we imagine would act as a push to explore more of your area. And although this is a handy addition for paying users, it all feeds into a wider picture. Once an activity is uploaded, Strava Metro then aggregates this into a package and works with transportation departments and cities around the world to improve infrastructure for both pedestrians and cyclists. So the next time you upload something to Strava, keep in mind that you're leaving a trail and potentially helping exercisers in the long-run.